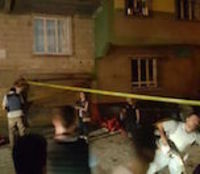 A bomb attack was launched last night (August 20) on a wedding in Akdere neihgborhood in Antep's Şahinbey district. The governorate in its initial statement announced the death toll 30 alongside with 94 wounded. Later, at 11 a.m. the governorate declared the death toll as 50. Hürriyet daily reported that the bride Besna and the groom, Nurettin Akdoğan have been taken to hospital and they are not in critical condition. The attack was a "suicide attack", added the daily. While the Peoples' Democratic Party (HDP) in its statement claimed that the attack targeted the party, Co-Chairs Figen Yüksekdağ and Selahattin Demirtaş were reported to left for Antep. BİA MEDIA MONITORING/ 2018 JULY-AUGUST-SEPTEMBER: Is It Way to Prison by Verdict Instead of Freedom for Journalists? Comments Off on BİA MEDIA MONITORING/ 2018 JULY-AUGUST-SEPTEMBER: Is It Way to Prison by Verdict Instead of Freedom for Journalists?